I once heard New Orleans described by a woman as her "Never Left" city. After visiting, she came back home, but her soul never left. New Orleans doesn't hit everyone like this, but when it does, you understand her sentiment completely. I recently had the great pleasure of visiting N'Awlins a fourth time for my birthday weekend with a lot of great friends, including my fiancé. As always, the entire trip was planned around three things: eating, drinking, and music. As this is a food blog, I'll mainly discuss the first thing, but I'll touch on the second, and maybe spare you the description of my dancing in the third. 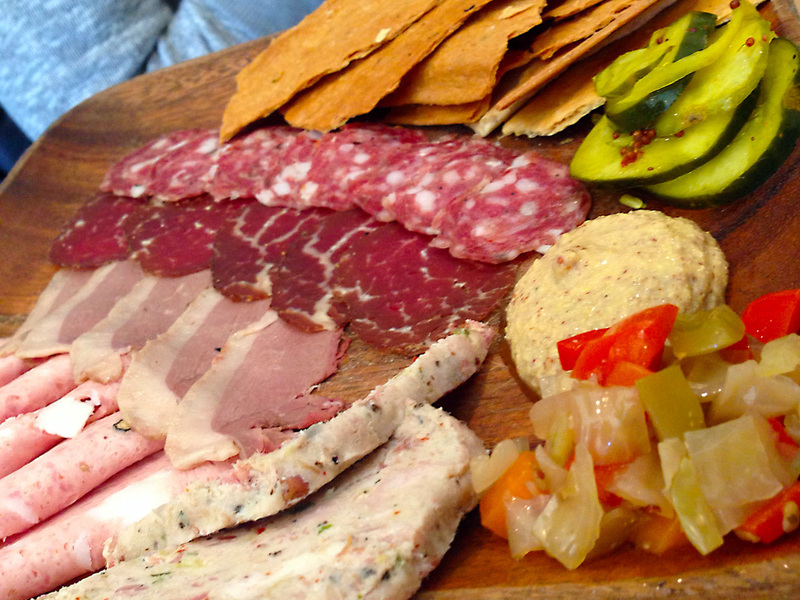 New Orleans is a foodie town. So much so, that as a restaurant, you just won't make it if you decide to deliver mediocre bites. You'll rarely see a chain restaurant, and if you do, it's meant for the tourists who can't take the full-flavored Cajun and Creole food. This is my culinary experience from this past trip. Everyone has their favorites, and I didn't leave out any restaurant on purpose; it's simply impossible to eat everywhere you want or describe all of your visits in a single post. With a horrendously early flight, our first meal is generally a stop for beignets and cafe au lait. 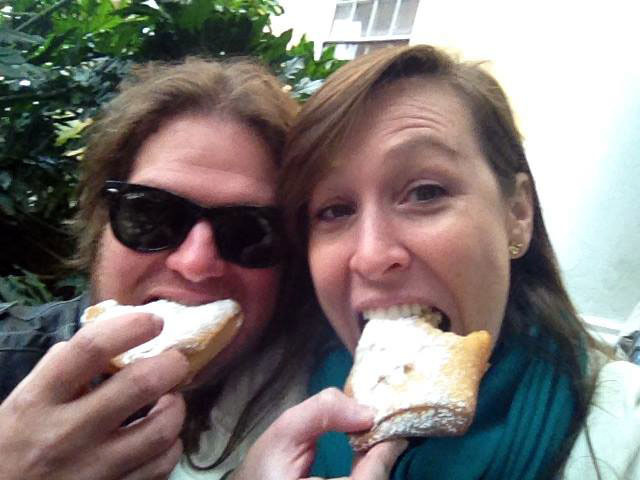 Not adverse to the tourist hot-spot Cafe DuMonde, we opted this time for Cafe Beignet. Some claim, including Alton Brown, that it is the superior stop for these French doughnuts covered in powered sugar. I'm divided, as they're both excellent and great in their own way. Cafe Beignet seemed to be more consistent in their product, but I missed the over abundance of powdered sugar the other place snows down on the fried dough. The next meal is possibly one of my favorite things to eat in NOLA. Mr. B's BBQ Shrimp. For those of you uneducated in this dish, it has nothing to do with barbeque. Weird, right? 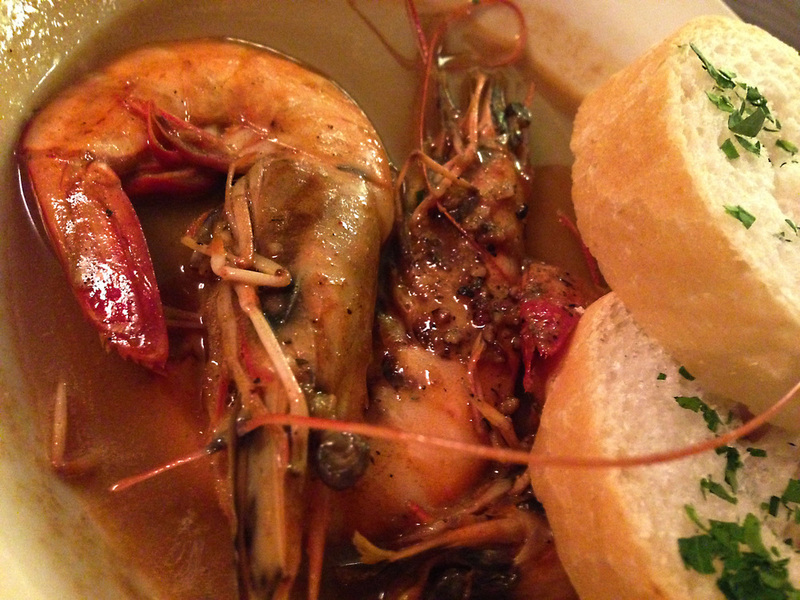 The large head-on shrimp are simmered in a rich sauce of butter, Worcestershire sauce and Creole seasoning and served with French bread. The flavor in this dish is beyond incredible, and after the shrimp are all eaten I'm sopping up every last bit of sauce with the bread. Want to try it yourself without the trip there? Mr. B's ain't scared, they post their recipe for BBQ Shrimp online for you to try yourself, and it's really not too difficult to pull off. The Gumbo Ya Ya is also notable as is their Brandy Milk Punch, a New Orleans classic coctail, which was decidedly the best we'd had in the city. Onto my splurge dinner. I shared this one with just my fiancé Sloan at Restaurant August, from another James Beard award-winning chef, John Besh. The pictures are awful because of the low lighting and and I just feel weird taking them in such a swanky place, but this was some serious eats. 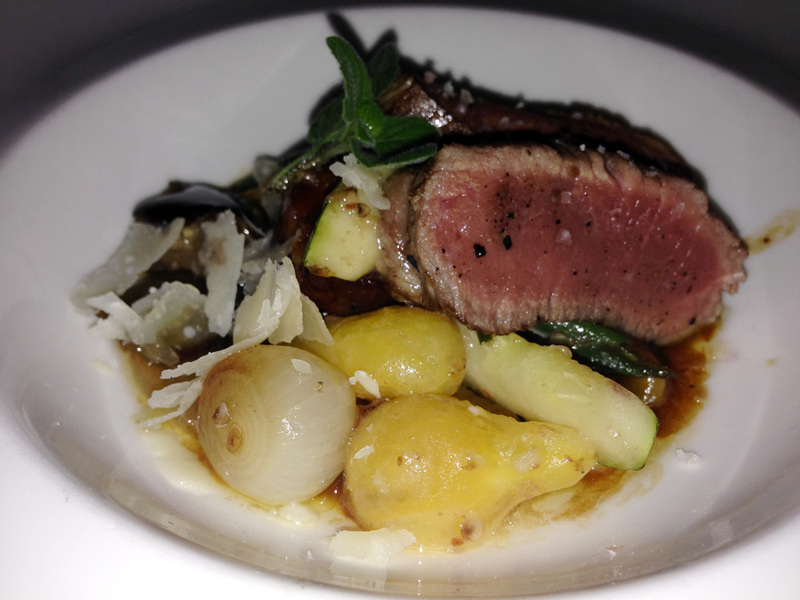 Although pricey, we opted for the degustation menu for the most rounded gourmet experience. First course was crabmeat, jellyfish and shrimp salad with fresh herbs and fish sauce. Although my least favorite, it was fine dining in the highest order. Next came calabaza squash cappelletti (pasta) with oxtail and bone marrow. I've never been a fan of bone barrow until this dish when it melted like butter and united with the sauce to become, quite possibly, the best dish of the trip. (No pic for this one due to the low lighting) Next up was larded Bandera "BBQ" quail with brussel choucroute, apples and Creole mustard. I'm not sure what all of that means, but it was runner-up for me, and Sloan's favorite. After that was the local roasted lamb and then "red velvet" cake as the finale. This was my favorite meal of the trip and I recommend a visit. You should visit at least one of his restaurants if you haven't already. Here at home, I'd compare August most to Tampa's SideBerns, which delights me to have a restaurant of that caliber right here in Tampa Bay. I finally made it to the best fried chicken in the country. A short cab ride to the somewhat sketchy neighborhood of Treme and you'll find Willie Mae's Scotch House. Featured on numerous food and travel shows, eating their fried chicken is often described as a religious experience. I'm here to tell you that it lives up to the hype. Often met with long lines, our midday arrival allowed us to be seated in only ten minutes. Waited on by Willie Mae's great-grandson, he told us almost everyone there is family, and if not already, becomes a member after working there! This chicken is moist, flavorful, and features a wet batter that's reminiscent of fish and chips instead of the usual seasoned flour variety of fried chicken we're used to. 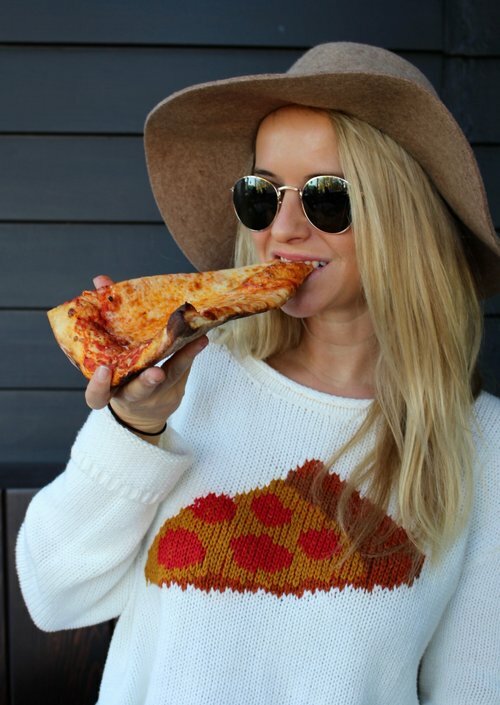 I will say it's a little salty, but not enough to distract me from stuffing my face. The fried catfish was also worth ordering and the favorite sides were butterbeans and red beans and rice. Other sides, although good, were pretty standard fare. I'm not sure what the deal was with the obligatory canned peas that came with every meal. Shall we talk about beverages a bit? Because at this point in the trip we were pretty heavy into them and some of us barely made it into the evening. We've discussed the Brandy Milk Punch, which is a New Orleans original and reminds me of eggnog without the egg. One of my favorites is the sazeric, a gentlemen's drink and another NOLA original made of absinthe, whiskey, bitters and lemon twist. But, we were neither gentleman nor ladies on this day and our drink of choice was what we affectionately call "purple". This is the Voodoo Daiquiri at the oldest bar in the country known as Lafitte's Blacksmith Shop. It's basically just an adult grape slurpee, and we've adopted it as our official N'Awlins party beverage. I still prefer the oddly tasting and tourist-slurping Hand Grenade, which we simply call "green" but hey, that's just me. After a long night of greens, purples, and a lot of Abita beers, we often found ourselves headed back to the hotel from dancing at all the killer music clubs on and around Frenchman Street. Our typical stop is for po' boys at Verti Marte. Locals find it weird we know about the place, as its unassuming facade and confined space looks like nothing an out-of-towner would want to venture into for food. Moving past the cramped shelves to the back counter we placed our orders. My favorite is a shrimp and oyster po' boy, but others like the "All That Jazz" featuring grilled shrimp and mushrooms in Creole mustard with ham, turkey, Swiss & American cheese, tomato and "wow" sauce. This is take-out only, so we just eat it on the curbs and stoops surrounding the place. We went here three separate times the po' boys are that good. They also have great pre-made food, with the crab cakes being a favorite. Oh, and they'll deliver pretty much any time of day. I think my favorite restaurant in New Orleans is Jacque-Imo's. Located in the Carrollton District, north west of the Garden District, this casual joint is just damn good N'Awlins eatin' and an absolute must visit if you've never been here. Be sure to get reservations, otherwise you could be waiting nearly two hours. You can't order wrong here, you just can't. But you absolutely must partake in the shrimp and alligator sausage cheesecake. This savory appetizer is so good, the first bite I ever had made time slow down to a crawl. It's seriously one of the best things I ever ate. How do you make a roast beef po'boy even better? You fry it, and that is my second favorite app on the menu. For entrees I'd recommend the Godzilla, a towering spectacle of soft-shelled crab, crab cake, and fried green tomatoes. But, they don't always have it, so I also recommend anything else we ordered. Crawfish etoufee, paneed rabbit with shrimp tasso pasta, stuffed catfish, and country-fried venison were all winners. 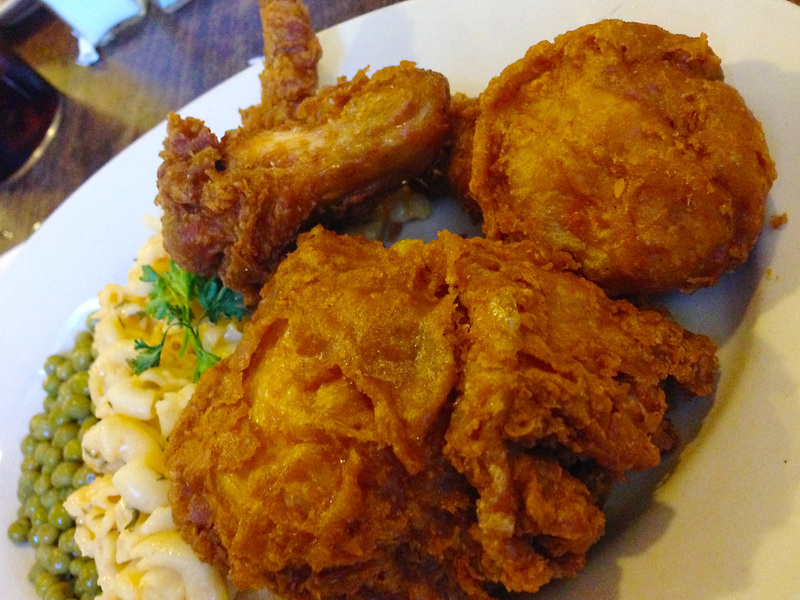 Oh, and the fried chicken here also rivals Willie Mae's. I must also mention we had a party of 24 and were never wanting or waiting for anything. I didn't know anything about this little breakfast and lunch hotspot in the Marigny, a neighborhood just east of the French Quarter, but our travel companions were raving about it. The Ruby Slipper serves breakfast all day, which is good for people like us who like to sleep in. After being put on a twenty minute wait, we ordered a few breakfast coctails from the bar. A spicy Bloody Mary, and a great rendition of a brandy milk punch had our morning starting out right. Upon being seated in what looked like an old bank, we made our selections which were delivered with rapid fire pace considering how busy they were. I had Eggs Cochon, a biscuit served open-faced with apple-braised pork debris and topped with poached eggs smothered in Hollandaise. 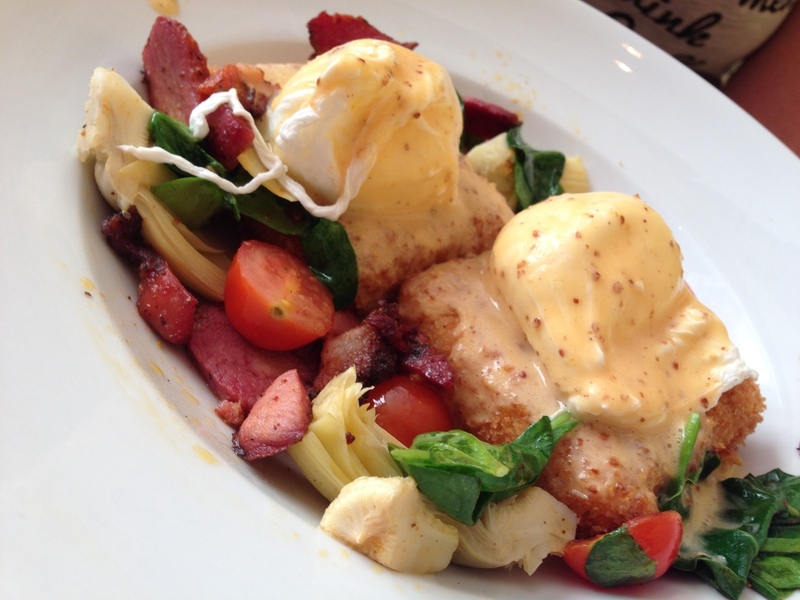 The lady ordered Eggs Touro, named for the cross street, that featured two fried grit cakes topped with the same eggs and Hollandaise, but then finished with greens, tomatoes, articoke hearts and corned beef. Both dishes were so divine I had a hard time discerning which I enjoyed better, but Sloan knows it was hers that won out. When's the Next NOLA Trip? New Orleans will chew you up and spit you out, so, although feeling melancholy, we were ready to come home on the fifth day. Our bodies tired, but our spirits replinished, we're already planning our next trip to the Big Easy. I may be typing this from my desk chair after a hard day at the office, but I'm pretty sure my soul is still sipping an Abita beer and dancing to a brass band on Frenchman Street. Cafe Beignet - Beignets, duh. But also features other breakfast items as well, as well as New Orleans cafe au lait. Mr. B's - Gumbo Ya Ya and BBQ shrimp, but everything I've had here is great. 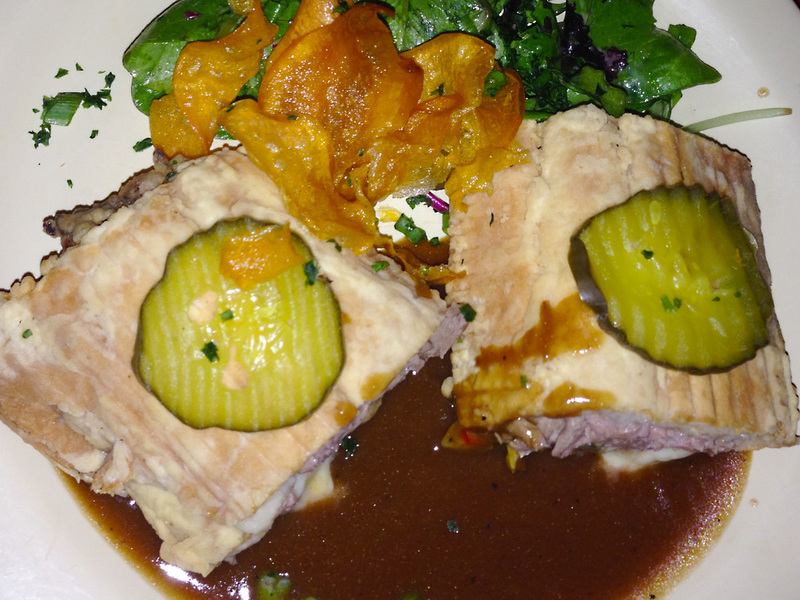 Cochon Butcher - Anything. Really. Restaurant August - Go for the tasting menu for the complete experience. Stanley's - Decent breakfast right in the quarter. Hash was pretty good. Willie Mae's Scotch House - Featured on every food show about New Orelans, order the fried chicken but the catfish and butterbeans are also standouts here. Verti Marte - All That Jazz or shrimp & oyster po' boys. All their prepared food is good, too, especially the crab cakes. N'Awlins Cafe & Spice Emporium - In the French Market, service was kind of slow, but crawfish pie was tasty. 2013 Treme Creole Gumbo Festival - Yearly in the Louis Armstrong Park. Gumbo Z'Herbs was pretty good, but can't remember the vendor. Treme Brass Band was a highlight. Jacque Imos's - Shrimp & alligator sausage cheesecake, deep-fried po' boy, Godzilla when they have it, and really anything off the menu. The Ruby Slipper - Fantastic breakfast in the Marigny district. 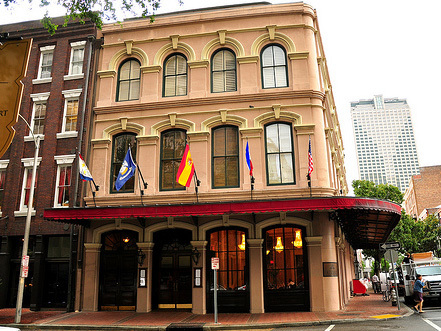 The Original French Market Restaurant & Bar - The boil is the way to go here. Depending on the season may be shrimp, blue crab, or crawfish. Port of Call - Featured on many food and travel shows, they're known for their mushroom cheeseburgers. Try it all the way with a Huma Huma drink. So many places left to visit!